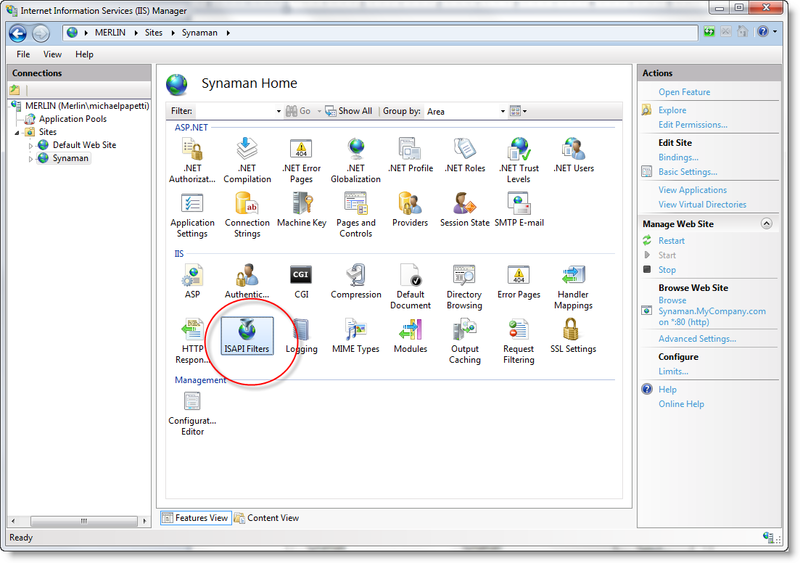 In this short tutorial we're going to enable IIS 7 in Windows via the Control Panel, make a new site, create some ISAPI filters, a virtual directory, and point IIS 7 to the ISAPI redirect file we're about to download. Stop SynaMan if it is running. Download ajp.jar from here and save this file in the C:\SynaMan\lib folder. Turn on the SynaMan service. From a command prompt, use telnet to connect to localhost on port 6061 just as below. If you see a blank screen after connecting, this actually means everything is working properly. Start > Control Panel > Programs > Programs and Features > (Left hand column) Turn Windows features on or off. 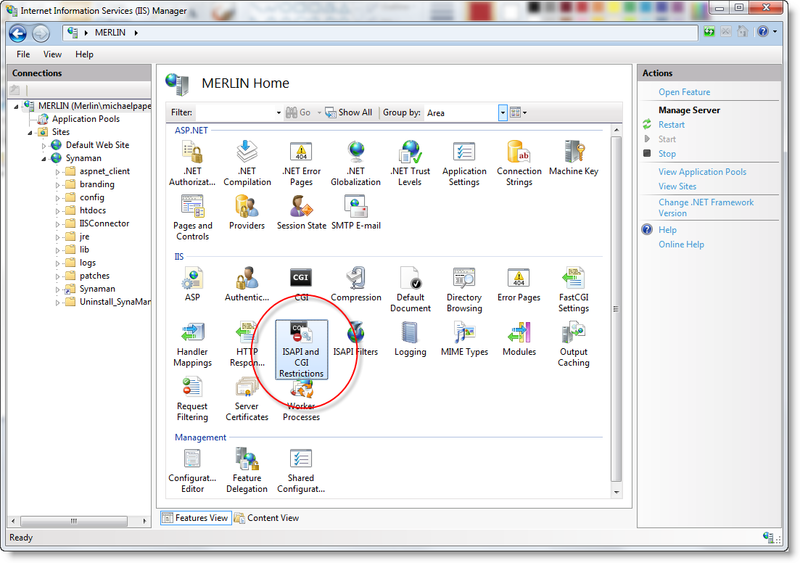 To manage IIS, open the Start Menu and enter "inetmgr" in the search bar and select it from the list. Next you will create a site by right clicking on the Sites folder as the image below shows. 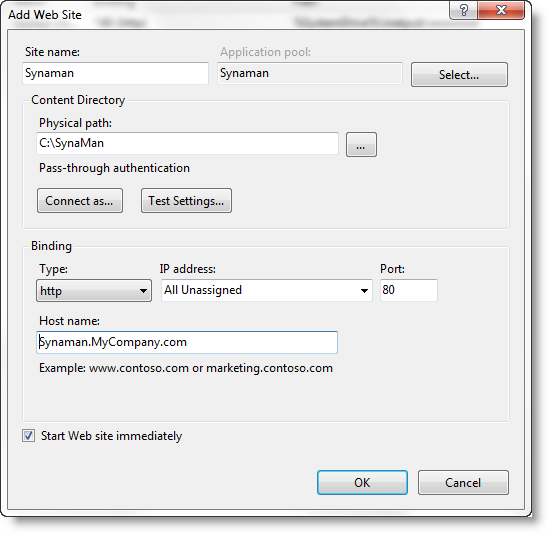 Enter the information below, substituting the host name suffix "MyCompany" with your own. 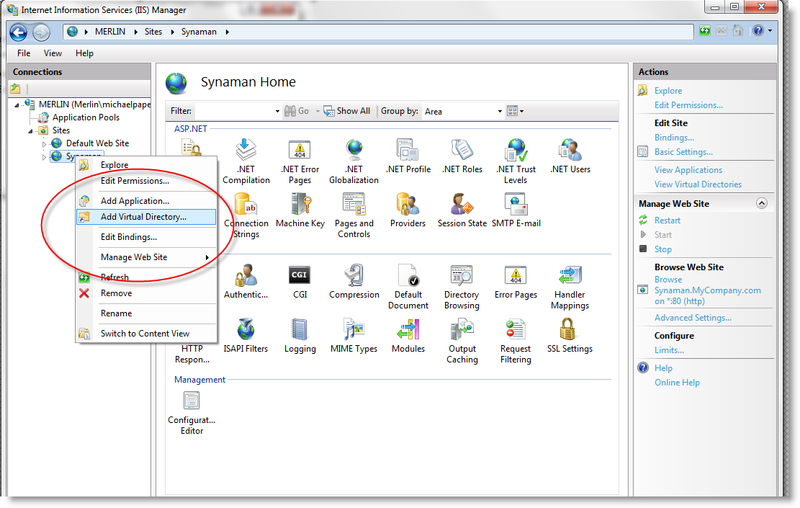 Next create a virtual directory for SynaMan by right clicking the SynaMan Website listing in the left hand pane. Then, choose Add Virtual Directory. 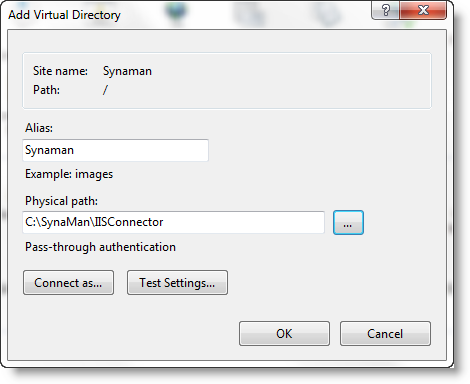 The physical path will also point to the IISConnector directory we have created in SynaMan's installation directory. 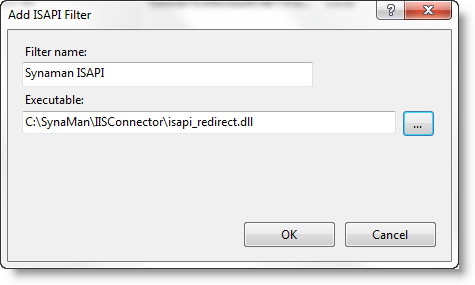 Next, we want to enable the isapi_redirect.dll in the handler mappings feature list so that IIS 7 knows to allow requests to be redirected to the ISAPI file. 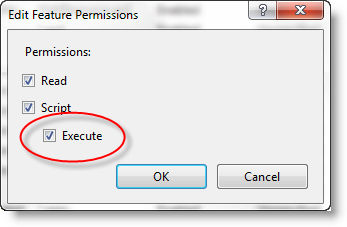 In order to do that we're going to enable the execute handler from the site level. 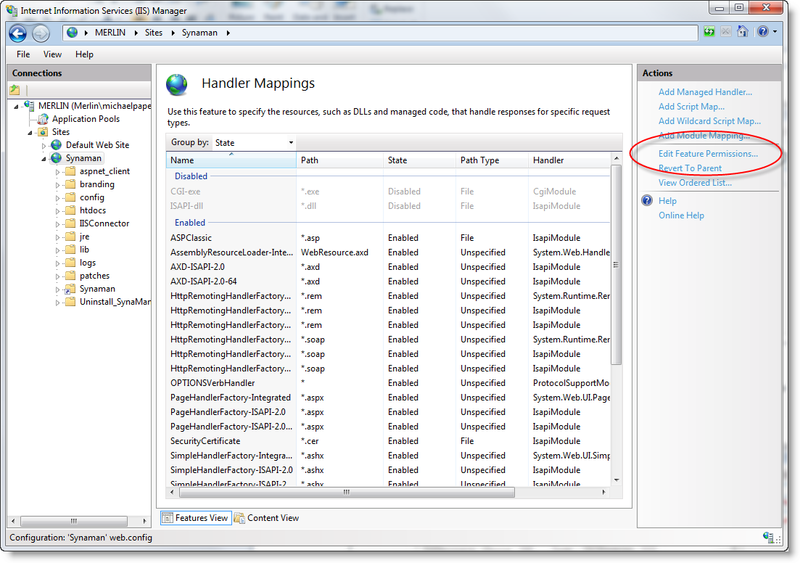 While the site is selected choose "Handler Mappings" from the feature list. In the following screen the ISAPI DLL should now be visible. 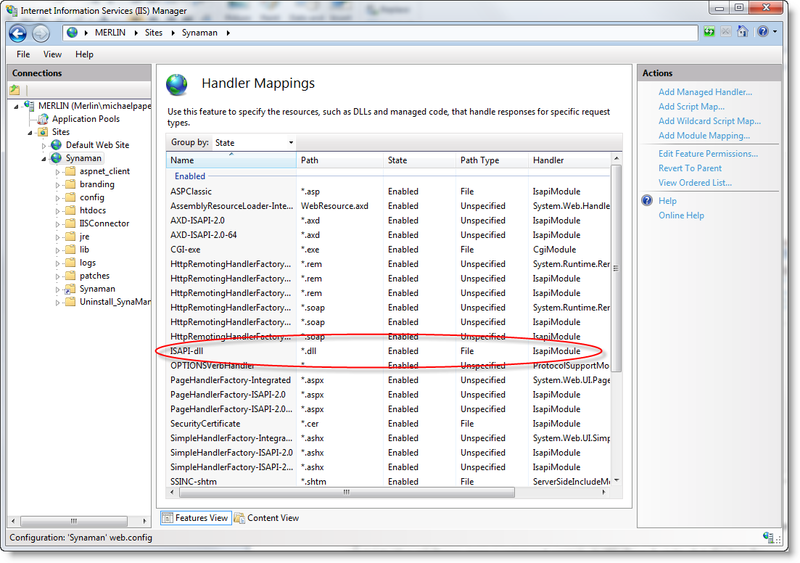 Once the ISAPI Handler is visible, we can now make the server aware of the ISAPI as a global setting. 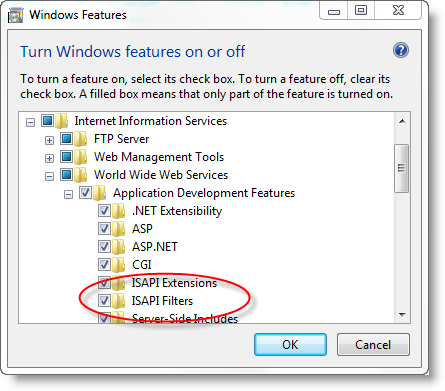 The following step replaces adding a web extension in IIS 6. 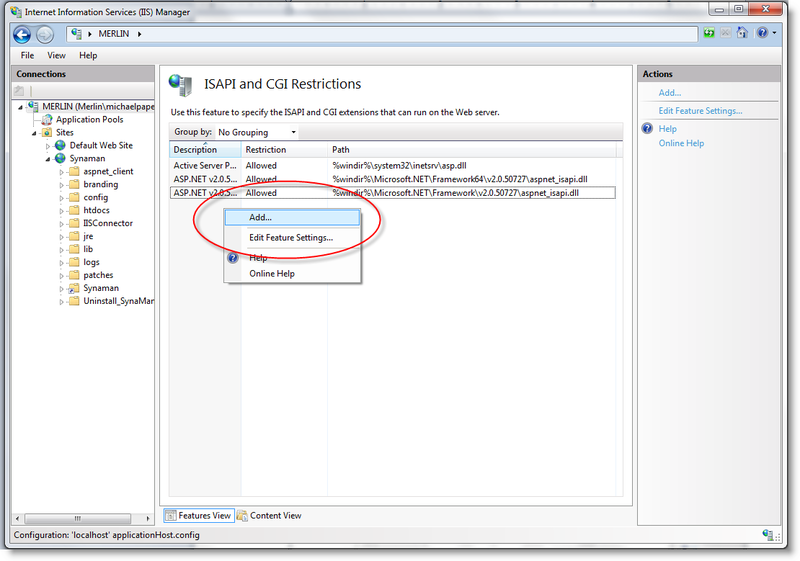 Select the server from the left hand connections pane and locate the ISAPI and CGI Restrictions feature. 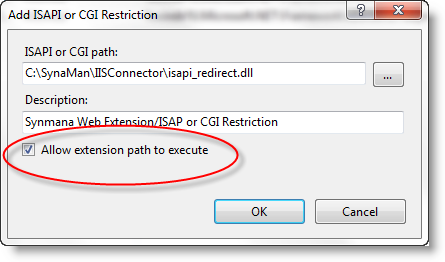 Be sure to enable the "Allow extension path to execute" option for this restriction. 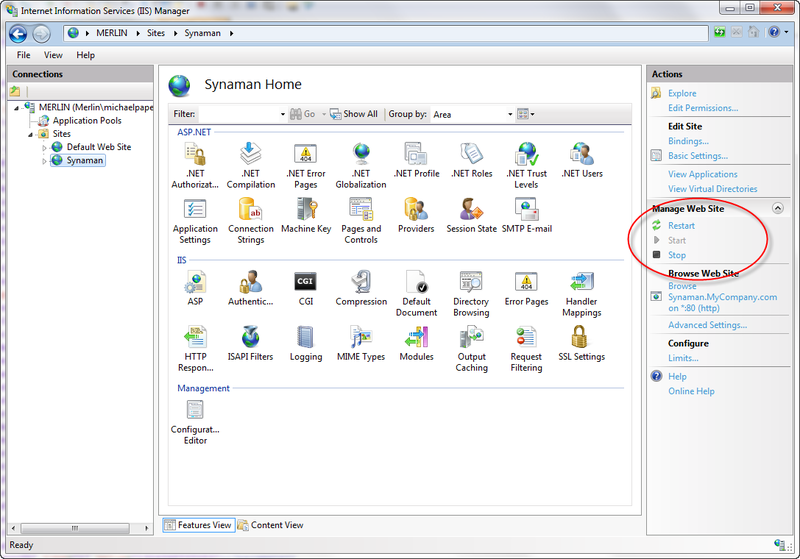 and SynaMan is now configured with IIS 7. 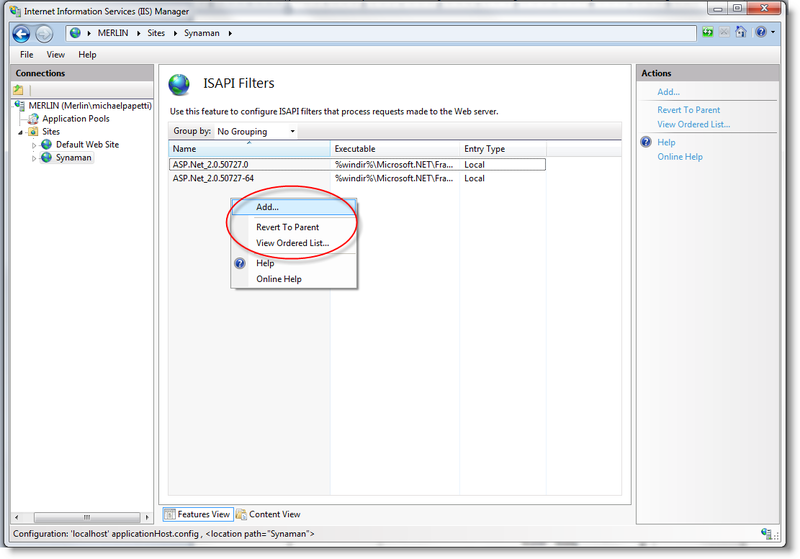 By default, IIS does not allow file uploads greater than 30 MB. Refer to this page to change this behavior. 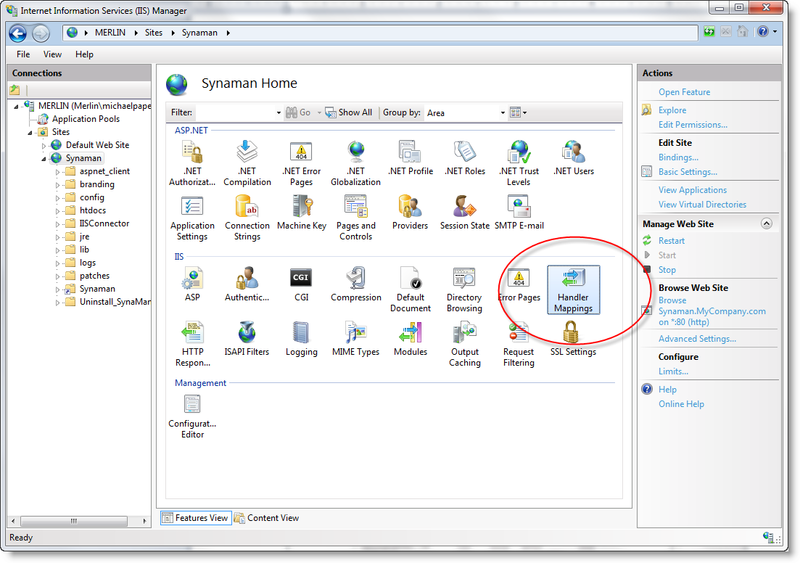 I have tried this configuration in Server 2012 with no luck, has anyone been able to get Synaman to work with this information?